Eye Candy uses 100% cruelty free products. Our faux mink has the same luxe feel as Siberian mink without the guilt. One eyelash extension is adhered to one natural lash. 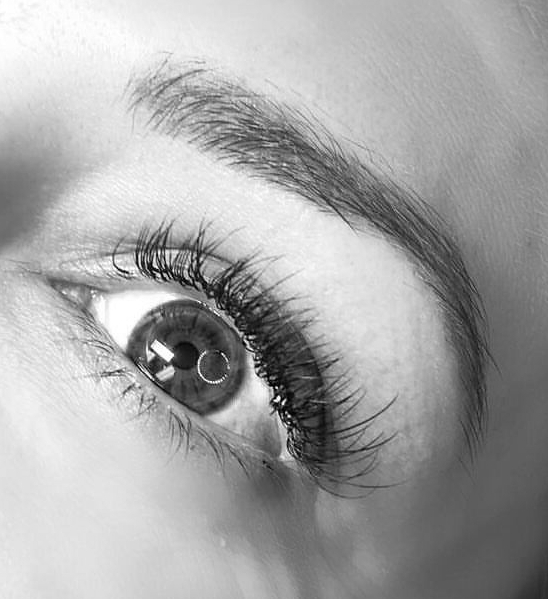 Lash guest are given a individualized consult to determine size, style, and materials used. We offer synthetic mink and silk. Part classic, part volume lashes, ALL gorgeous! Hybrid is the best of both worlds. Individual lashes, 2D and 3D lashes are applied in the places where it matters the most. The result is full beautiful lashes with a little less drama then a full volume set. The most stunning lashes a girl could wish for. Volume lashes allow for the safe application of 2-5 extensions per natural lash. Not sure about taking the plunge with extensions, but would still like a little something? The lift and tint is the perfect option! This service will perm your natural lashes curly for a full 6-8 weeks! The tint is an excellent addition to make your natural lashes the shiniest black they can be! Not sure if you want extensions? Mini sets are a great way to try out extensions without the commitment. With the mini set, we will lash approx every second or 3rd lash to give you an idea of what extensions are like! 1 hour appointment.